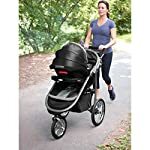 Go strolling or jogging with your child with the FastAction Fold Jogger Connect Stroller Tangerine. 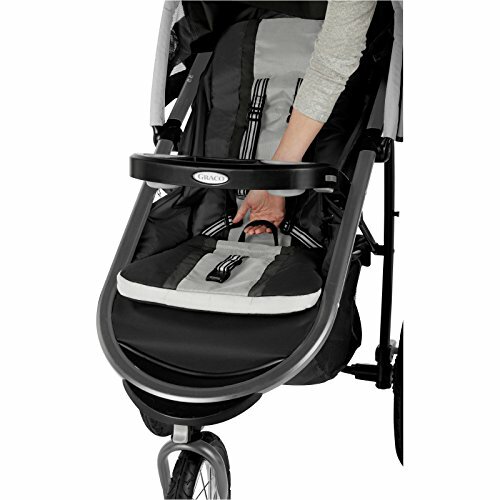 Made to accept all Graco Connect infant car seats with a secure, one-step attachment, your baby will be able to go out with you from the get-go. 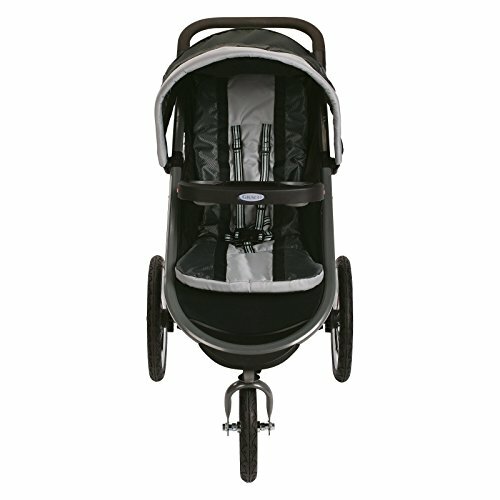 And, able to hold children up to 50 lbs., you’ll be able to use this stroller for quite a few years. 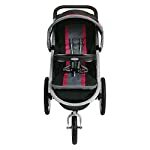 Your child will ride along comfortably in the nylon, multi-position reclining seat which features a convertible three- or five-point harness that grows with him. 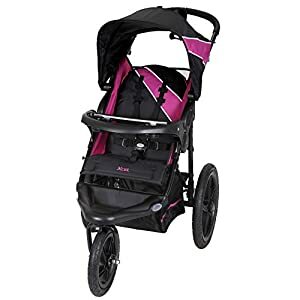 Air-filled rubber tires provide excellent suspension while the locking front swivel wheel provides an easy transition from daily strolling to jogging. 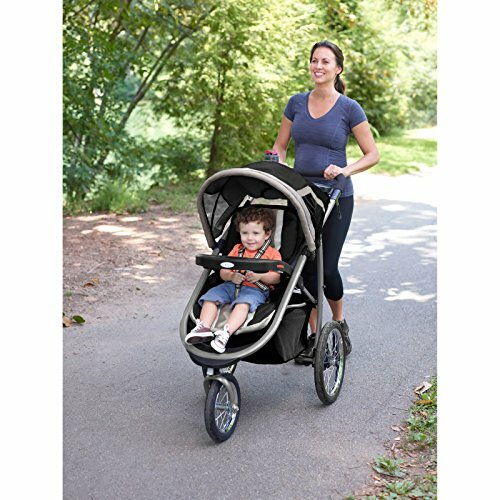 Designed with your needs in mind, this stroller has a deluxe parent’s tray complete with a unique smartphone cradle for your phone or MP3 player, two deep cup holders, and a covered storage compartment as well as an extra-large storage basket to hold all of your essentials. 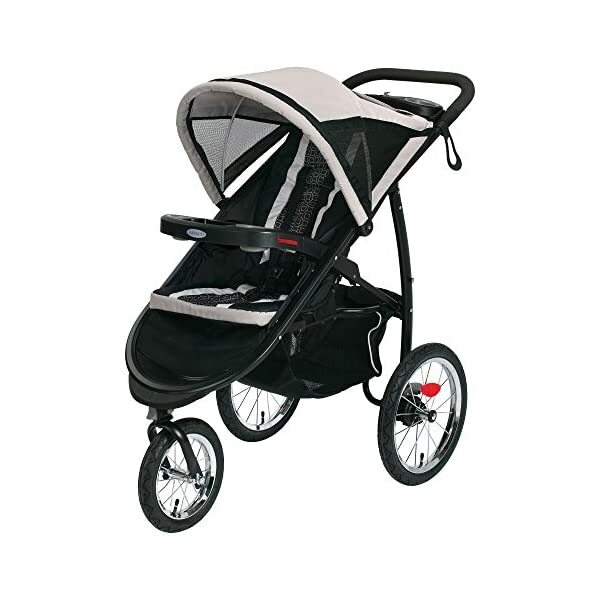 Protect your baby from the sun with the extra-large, expandable canopy with a peek-a-boo window and give your toddler a place to keep his own cup with the pivoting and removable child’s tray. 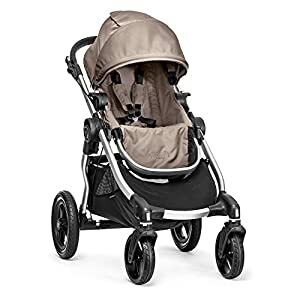 With its one-second, one-hand fold and automatic storage lock, you’ll have no problem packing this stroller up and storing it in your car or home. 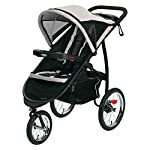 A great stroller for moms and dads alike, you’ll love its versatility, maneuverability, and durability. 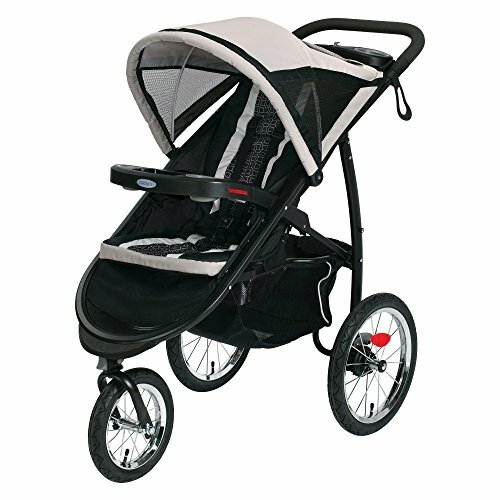 Additional Features Accepts all Graco Connect infant car seats Self-standing when folded Reflectors for low-light visibility The Swyngomatic sold millions, catapulting Graco to become a leader in manufacturing juvenile products in the process. Since then, Graco has set the industry standard with products like the Pack N’ Play and the Travel System. 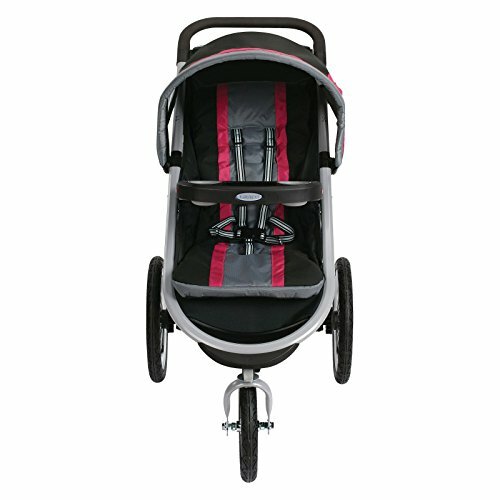 Graco is one of the world’s best known and most trusted juvenile products companies. 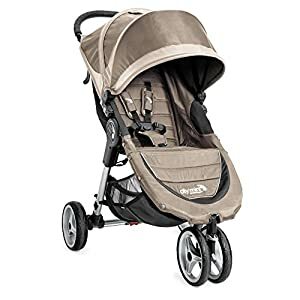 Product safety, quality, reliability, and convenience are their main sources of pride, and are recognized by parents and parenting authorities alike. 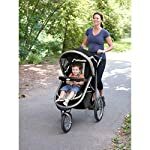 For children up to 50 lbs..